Mowing your lawn is probably one task that you should be able to handle, right? The thing is, most people don’t know how to properly mow their lawn. They’ll cut it as short as possible so that they don’t have to mow it as often; however, cutting your grass too short will stress the blades, thereby making it more vulnerable to diseases and pests. Professional landscape contractors understand that different types of grass need to be cut to certain lengths in order to keep it healthy. Professionals have a ton of high-end landscaping equipment, which means that they can use the tools that are best suited to the task at hand. Most property owners only have a few pieces of landscaping equipment, such as a lawn mower, and these tools are rarely kept in great shape. 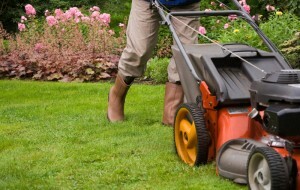 For example, if you own a mower, when was the last time you sharpened its blades? It takes a lot of time to keep your landscape in good shape. Not only do you have to mow the lawn regularly, you should also trim bushes and trees, clean debris from your property, fertilize your lawn and plants, and make sure everything is properly watered. These are just a few basic tasks–not including the actual design and planting of your landscape. Not only does this take a lot of time, but it requires a lot of hard labor. You might even end up hurting yourself if you don’t know what you’re doing, which is why you’re better off saving time and avoiding hard labor by turning to a pro. 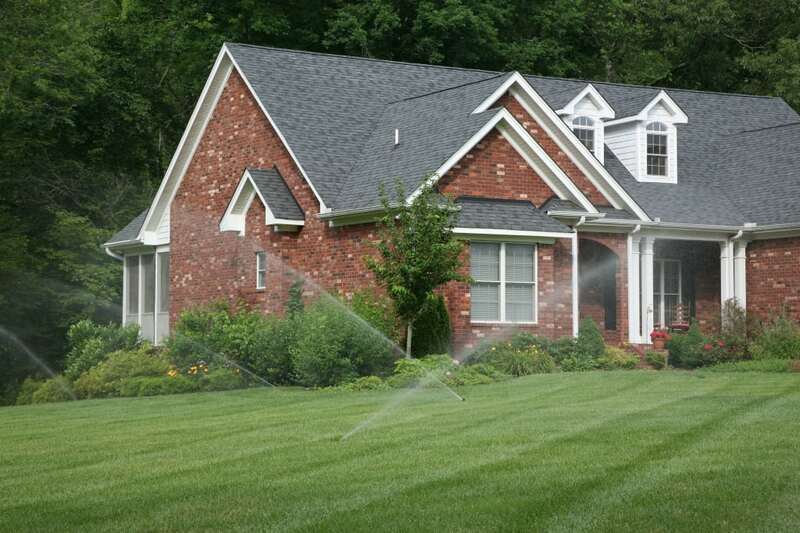 A good landscaping contractor can design an irrigation system specifically for your landscape. Not only will this ensure that every part of your landscape gets the water it needs, but a customized irrigation system will reduce water waste. Considering the fact that a 1,000 square foot lawn requires about 660 gallons of water, making sure your irrigation system is working efficiently and is properly installed can go a long way towards cutting down on your water bills. A professional landscaping contractor will be able to take into consideration where your house is located in regards to the position of the sun when designing your landscape. They do this so that they can leverage shading of the trees and bushes they plant, thereby helping to make your home more efficient and allowing you to reduce your energy bills throughout the year. Besides reducing water and energy use–both of which will help make your landscape more eco-friendly–many property owners purchase landscaping products, such as fertilizers and pesticides, that are bad for the environment and that could even potentially cause health concerns if not used properly. A good landscaping contractor has access to more environmentally-friendly products and will know how to use them safely. A local landscaping contractor will know exactly what types of plants will thrive in your climate, something that is important when it comes to designing a landscape that will experience healthy growth throughout the year. Using plants that aren’t suited for the climate will make it difficult to keep them alive (and looking healthy), and can end up costing you more as you’ll have to replace them eventually once they die. Professionals will also take into account the weather challenges of your climate. For example, if you live in an area that experiences a lot of rain or snow, they will carefully design a drainage system for your landscape. Landscaping contractors have an eye for creating beautiful landscape designs that are unique and that work together in a harmonious fashion. They can take advantage of the unique features of your property to design a landscape that will awe anyone that passes by or comes to visit. By using a professional to design your landscape, you’ll boost your curb appeal. For commercial property owners, this can go a long way towards attracting potential customers, while for homeowners, this can not only help to attract potential buyers if they are selling, it can increase the value of their homes. Trying to figure out what to do with your landscape can be a real challenge, especially if you have a smaller space to work with. A professional can get the very most out of your landscape, no matter how restrictive you think it might be. Even a small backyard can be transformed into a beautiful and functional landscape with the know-how and experience of a professional landscaping contractor. These are just a handful of reasons why you’re much better off hiring a professional landscaping contractor to take care of your landscape, whether you’re a residential or a commercial property owner. For information about our landscaping services in Ann Arbor, MI, be sure to contact us Twin Oaks Landscape today.